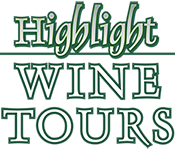 Tour prices include any STANDARD tasting charges at wineries. Additional charge may apply for pickups beyond Blenheim. Please check the availability calendar. Free door-to-door pick up and return from Blenheim. Additional charges apply for pick ups beyond Blenheim. If you are staying in Picton or Havelock, the additional charge per booking is $30.